August 4 is celebrated as Odia Journalism Day as the first Odia newspaper weekly Utkal Deepika was published on this day on 1866. 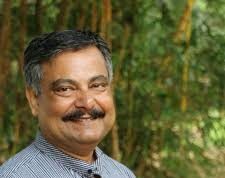 Gourishankar Ray was the editor-publisher. Utkal Deepika was born at a time when Odisha was beleaguered with many problems. A devastating famine (Na-anka Durbhikha) was underway, which wiped out one third of the population Odisha. Odia language was under attack. Odia literature needed a strong fillip. The society weighed down by superstitions and badly needed reform. A nationalist movement was slowing taking shape. It was in this critical juncture that Utkal Deepika took birth and it played a very significant role in sociopolitical life of Odisha. It brought the plight of common people to the notice of the concerned authority. It constantly highlighted the impact of the famine and suggested measures that should and could be taken. It strived for the development of Odia language and literature and protection of Odia interests. It fought for the amalgamation of outlying Odia-speaking areas, which remained scattered under different provincial administrations by launching a vigorous campaign. It tried to engage with people’s issues. 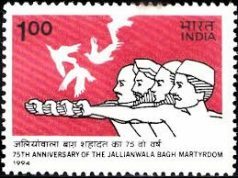 It encouraged people to write letters to the paper regarding their problems. 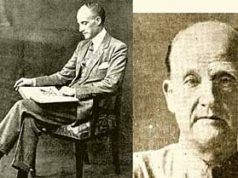 Utkal Deepika continued publication till 1936. Utkal Deepika carried all the traits of a good ‘modern’ newspaper considering its editorial content and its management. 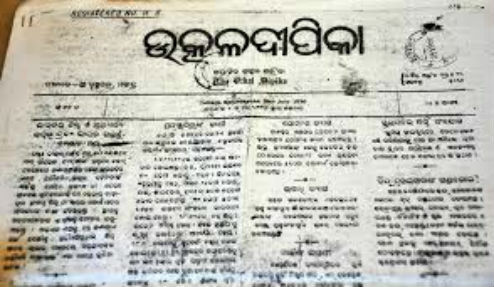 With the publication of Utkal Deepika, the journey of journalism began in Odisha. Recently I had been to Tirupati in Andhra Pradesh, which is a city with many holy places and temples, the presiding deity being Lord Venkateswara, an incarnation of Lord Vishnu. His abode is located on top of Tirumala Hills. It comprises seven peaks, representing the seven heads of Adisesha. The temple lies on the seventh peak –Venkatadri, hence the temple is also referred to as “Temple of Seven Hills”. Tens of thousands of pilgrims visit the temple every day. On certain days the number swells to lakhs. It is one of the richest and well managed temple complexes of the country. The Tirupati Tirumala Devastanam (TTD) manages the temple affairs and the temple complex. TTD also looks after several civic amenities and charitable activities and institutions. Surf this site to know more about the Deity, the city and about the activities of TTD: http://www.tirumala.org/. After a darshan of Lord Venkateswara I went for a darshan of his wife Goddess Padmavati. Padmavati Temple is located about 25 kms away from Balaji Temple. I wondered why? I am told there’s a story and it goes like this: after marriage Balaji and Padmavati we’re going to Tirumala. On the way Balaji asked Padmavati, have you brought Curry patta (leaves)? It used to be a tradition that brides used to take Curry leaves to their husband’s place. Padmavati said, no. And she went in search of Curry leaves and did not get any in nearby places. She wondered in search of Curry leaves and Balaji went to Tirumala. And Padmavati stopped downhills. There was a curse that Curry leaves in Tirupati would not have the usual smell and taste. I am amazed at the stories we have, related to the Gods and Goddesses across the country. Thanks to the Civic authorities and especially to TTD, the Tirupati city is clean and thanks to the many wall paintings depicting various puranic scenes the city looks very colourful. But heat is a problem here. People of Tirupati tell me that there are just two seasons here: hot and very hot. “We hardly get any sustained rain. And winter just disappears as soon as you feel its feeble footsteps”. However, Tirupati looks very green for a city which is severely water stressed. The TTD has undertaken massive plantation drive and it is the result. Hope it cools down the city to some extent. Rayalseema area of Andhra Pradesh, in which Tirupati comes, has always been water stressed. But of late the stress is growing into a crisis. A recent study finds that process of desertification has already started in this area. Cultivable land is gradually turning into arid desert. Urgent steps for water conservation must be undertaken in a large scale. Looking at the number of patients from Kolkata, Bhubaneswar​, Guwahati, Raipur and other East Indian states to South Indian cities like Hyderabad, Chennai and Bangalore for treatment, the railways should either introduce special trains for them or attach special coaches in regular trains. These trains (or coaches) should be designed and fitted with gadgets for easy movement, like ramps so that wheel chair bound patients can enter and alight easily. Toilets should be larger. Pantry should cater to the dietary needs of the patients. As I mooted this idea, my friend Radha Raman Mohanty who happens to be a member of an Advisory committee of the railways promises to take it up in the appropriate forum at appropriate level. Frog 2: Abe sale, topic change mat kar.